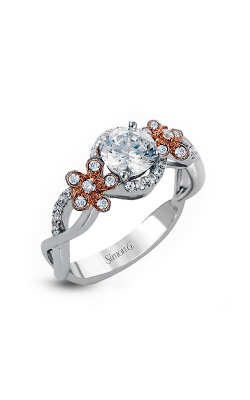 Gold represents one of the greatest treasures the Earth provides. 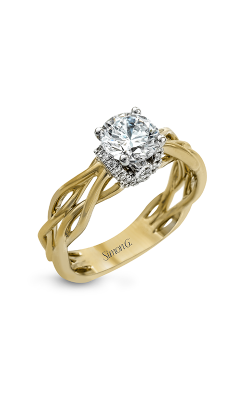 Its unique sunshine color and luminous shine are gorgeous enough, but when you add in the fact that gold is incorruptible, resisting tarnishing, never rusting, and maintaining its perfection for thousands of years. Naturally, when civilizations began crafting their engagement rings from precious metals, gold was their first choice for a reason. 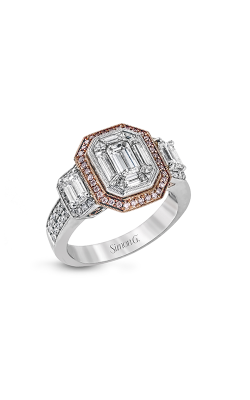 A symbol of beautiful, timeless, incorruptible love, gold engagement rings form a gorgeous cornerstone of the engagement rings we offer at Merry Richards Jewelers. The variety of engagement rings that can be made of gold means that no matter your tastes, you’re sure to find a piece you’ll adore. For a gold engagement ring that celebrates the relationship between gold and diamonds, the Tacori RoyalT collection is the finest choice. 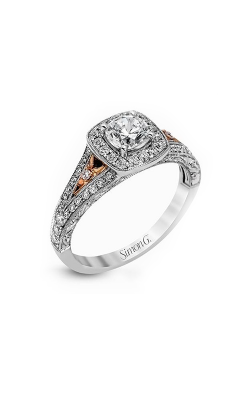 Side diamonds of all cuts and carats fill these 18k gold rings, decorating the gallery and along the side of the shank. There’s no way to turn this gold engagement ring without capturing the light in some way. 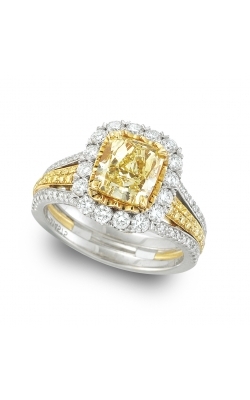 Alternatively, if you want a ring to gloriously compliment the natural tones of 18k yellow gold, the Christopher Designs Crisscut Cushion collection sets cushion-cut yellow diamonds at the heart of its gold engagement rings, making a breathtaking optical illusion in which it’s hard to tell where the faceted beauty of the diamond ends and the luster of the 18k gold begins. 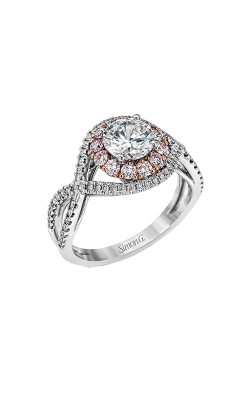 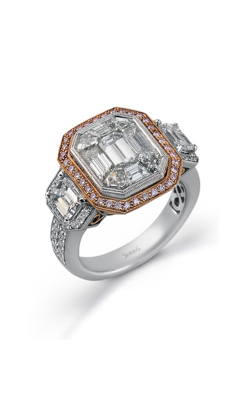 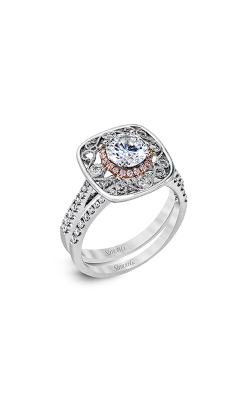 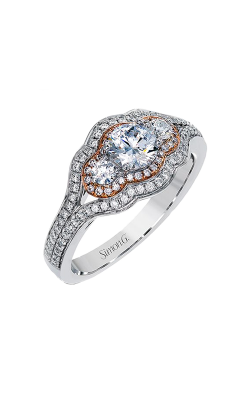 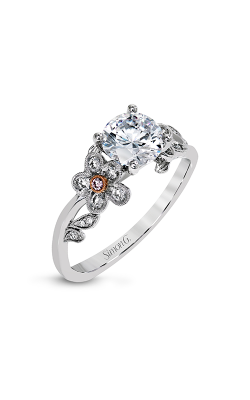 Simon G. not only sets its diamonds in luxurious tones of gold, it also has a penchant for adding other shades of diamond to pair with the gold they use. 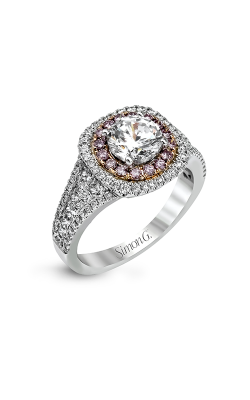 The Mosaic and Passion collections take advantage of the refined rainbow hue of fancy colored diamonds to create one-of-a-kind collections. Mosaic, named for the collections of diamonds at the heart of the rings, is set alongside a frame of pink diamond-studded 18k rose gold; Passion gold engagement rings feature platinum bands with elaborate halos of 18k yellow gold in which flawless yellow diamonds are set. 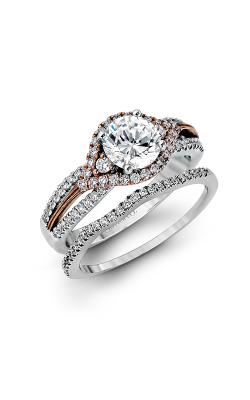 Why Shop for Gold Engagement Rings at Merry Richards Jewelers? 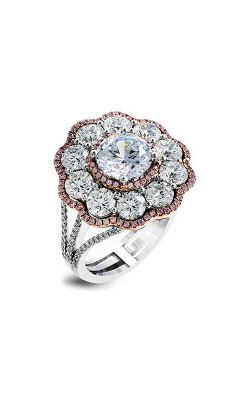 Since 1985, Merry Richards Jewelers has been the trusted source for luxury gold engagement rings. 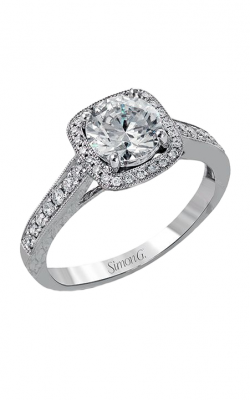 But in addition to the refined choices that set women’s imaginations ablaze, we have more specialized offerings of engagement rings, including solitaire engagement rings and round cut diamond engagement rings, as well as elegant showcases of wedding bands to make your bridal set complete. 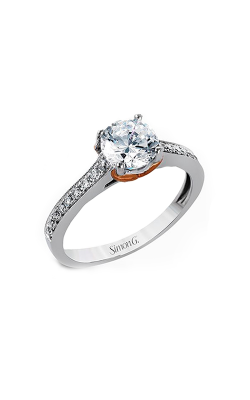 If you’re shopping for Swiss-quality timepieces or fashion jewelry, our selections are no less spectacular. 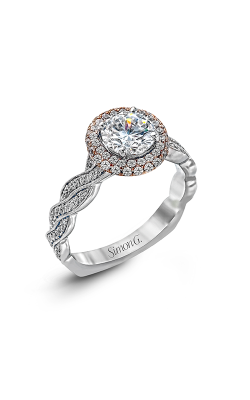 If you’re interested in the gold engagement rings or services we offer, call us at 1-630-516-8000 or stop by our Oakbrook Terrace, Illinois showroom today!